In what appears to be a Lutheran churches’ acceptance of transgenderism and turnabout on scripture, on Sunday, February 11th in New Jersey, a pastor was renamed from Rose Beeson to ‘Peter’ after transitioning from a woman into a man. “This a wonderful day in the life of this radically inclusive community,” said Mark Singleton, a 21-year member of the church who was on the committee to call Beeson to pastor St. Matthew Trinity nearly four years ago. Rose Beeson, a pastor of St. Matthew Trinity Lutheran Church in Hoboken, New Jersey, came out last summer as transgender and was formally baptized by the Church this past Sunday as Peter. After the regularly scheduled service, Lutheran Bishop Tracie Bartholomew, baptized for the first time, at the historical font, a transgender. In the Bible Peter, formally Simon, was Jesus’ first apostle, as is the acclaimed reason for Bishop Tracie Bartholomew to rename Beeson to Peter. The congregation of St. Matthew Trinity Lutheran Church is celebrating Pastor Rose Beeson as she transitions from female to male and takes on the name Peter in a renaming ceremony on February 11 at 10:30 a.m. The Rev. Tracie Bartholomew, bishop of the New Jersey Synod of the Evangelical Lutheran Church in America (ELCA), will be the featured preacher during the worship service that affirms transgender individuals who take on a new name and remember their baptism. It is one of the first times a minister of a congregation in the ELCA has transitioned from female to male while serving as pastor, acting on St. Matthew Trinity’s aspiration to be a church where tradition and inclusivity meet. About St. Matthew Trinity Lutheran Church 500 years ago, Martin Luther brought a new perspective to Christianity, which became known as Lutheranism. If one were to summarize Luther’s message to the world, it would be Word alone; Grace alone; Faith alone. The American church is appearing to have turned its back on God through inclusivity, by following the traditions of men, and by obeying the whims of culture. Some studies state that the American church is in decline, and with preachers like the aforementioned, it’s not a real mystery as to why. 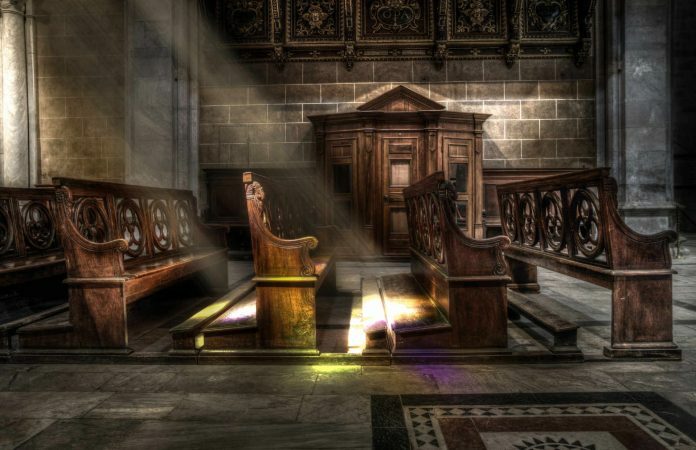 However, remarkably, a recent study conducted by Landon Schnabel and Sean Bock of Indiana University and Harvard University shows that only a portion of the American church is in decline, rather than in entirety. Incredibly, liberal churches, similar to St. Matthew Trinity Lutheran Church, are the ones actually declining in size and Nondenominational, Foundational Churches are actually on the rise. Interestingly enough, it would appear as though, mainstream churches are losing more members than ever before, which explains the original interpretation that Christianity is on the decline. However, the study displays that just because people are leaving a church, it doesn’t mean that they are leaving the faith. Incredibly, the study displays that the percentage of Americans who pray daily, accept the Bible as is, and attend church more than once a week has remained the same for upwards of 50 years. In addition, the percentage of Americans referenced in the aforementioned totals to about one-third of US citizens. Contrastingly, in comparable nations, the percentage totals out to about one in fifteen. So while mainstream, liberal churches house ‘queer virtue’ and ‘inclusivity’ teachings just to keep the lights on and attempt to garner their flocks, in reality, they are losing their congregations in astounding numbers. Reason being, people want the truth, not some watered down version that gives credence to the liberal jesus, rather people of the faith crave the preachings of the Almighty, unadulterated, Jesus Christ. Rev. Alexander Santora/For the Jersey Journal. “Transgender N.J. pastor to celebrate with historic renaming ceremony | Faith Matters.” NJ.com. . (2018): . .
St. Matthew Trinity Lutheran Church. “Events.” St. Matthew Trinity Lutheran Church. . (2018): . .
Elizabeth M. Edman . “Queer Virtue.” Queer Virtue. . (N/A): . .
God warned us about this false church. It now is arriving, take no part in it.